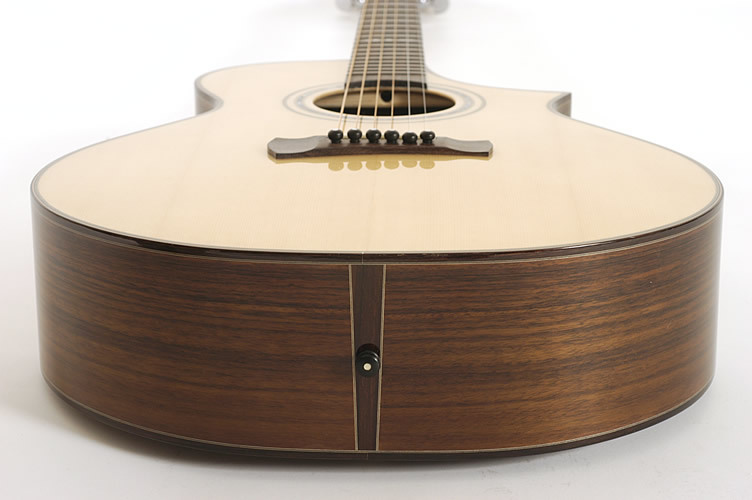 In the beginning was the "flat top steelstring", the acoustic guitar originating from the USA. From a guitar-building point of view, this type of guitar was almost my sole focus for many years. Its sound and its soul has fascinated me since my childhood. And although my love applied equally to electric guitar music, it was so much more interesting and mysterious to investigate the secrets of this soul. What began in 1983 in Ann Arbor, Michigan in the workshop of my teacher Tim White, was soon to become the start of a long, unbroken path of experience with this instrument. This path lives in every one of my guitars.